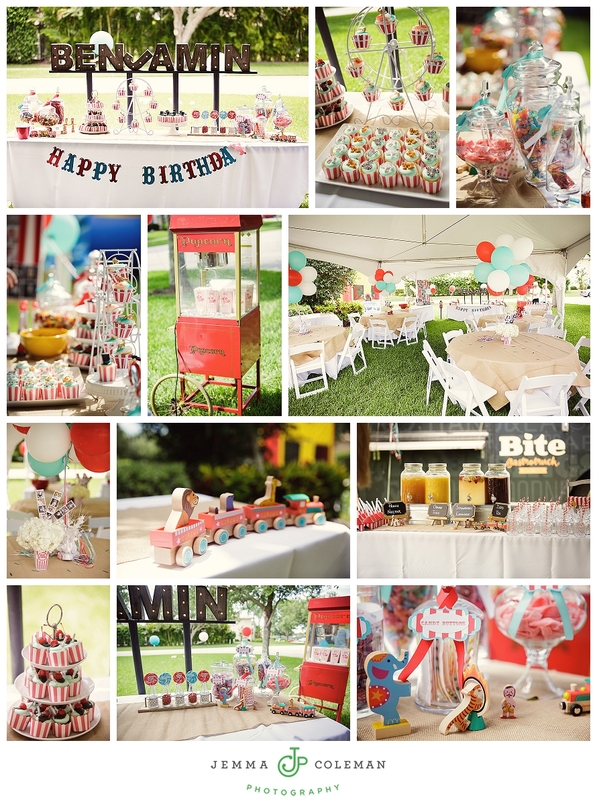 Jupiter First Birthday Party Circus Theme! Mr. Ben here is one loved guy for sure! 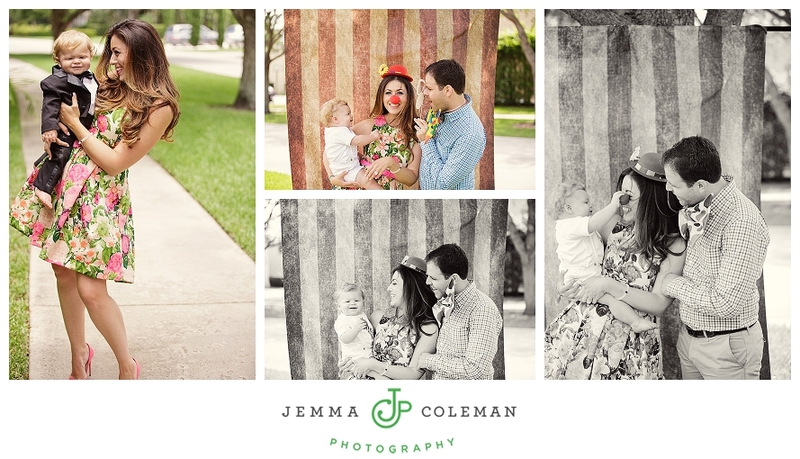 Mom and dad put on an amazing circus themed first birthday party which was well-attended by family, friends, and plenty of other little ones! Everyone had a blast with the bounce houses, train, and games. The food was of course to die for, now that I know I can get Bite Gastro Truck to come to my party, I’m trying to think of an excuse… Hey, my birthday is coming up!! Oh and the first day of summer. See? Lots of reasons. You can tell from the images that this was a bright joyful day with lots of love given and received. First, would ya look at the decor?? Gorgeous. Love that color scheme, btw! 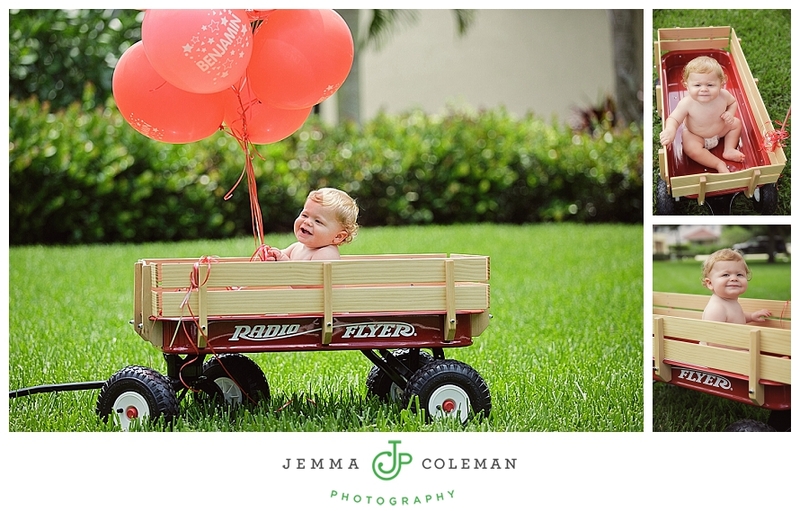 We started off with a quick nakey photo shoot with Mr. Ben and then some family shots! It was lovely to see all of the family and friends enjoy each other at the party! Ben did not disappoint with his cake smash! And Uncle Mike did some stuff from the Matrix and caught the cake when Ben decided he was all done!! Nice work! I love this last one here. Contemplating some more jumping or maybe some more gummy worms. Hmmm, decisions, decisions….